Master Drilling appears at WAMPEX 2018 to introduce its innovative drilling technology to the mining market in West Africa. The company says it is challenging the status quo and will provide clients with specialised, adaptive and integrated drilling solutions. It says the main focus in Ghana over the three days will be meeting major players of mining properties in West Africa and introducing them to Master Drilling and the innovative technology provided by the company. Moreover, they plan on expanding their drilling solutions in West Africa. 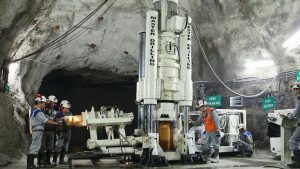 “One of the innovative technologies that we will promote is our new disruptive Mobile Tunnel Boring (MTB) solutions (unveiled at Investing in African Mining Indaba 2018 in Cape Town, earlier this year) that will be ready for commissioning in the third quarter of this year”, says Su- Marie Lemmer, Market Research & Communication Officer. Master Drilling, established in 1986, is a global technology solutions driven company, focused on delivering a fully mechanised range of services to the mining, civil and energy sectors. It was incorporated as Master Drilling (Pty) Limited by founder Danie Pretorius in 1986 and commenced raise boring operations at Impala mine in the Rustenburg area of South Africa in the same year. As the trusted partner of choice, they business model is characterised by cutting-edge technology, innovative solutions and tailor-made designs, coupled with a flexible support and logistics chain. Additionally, they make it a point to partner with clients during every project touchpoint – from exploration phase to the production and capital stages. 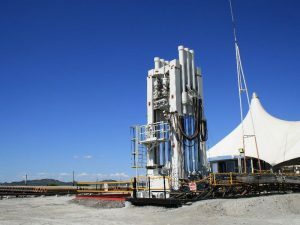 Master Drilling’s internally conceptualised design and internationally patented MTB technology was developed in response to the growing demand from clients, and the mining industry at large, for a cost effective mechanised tunnelling contract service offering that addresses safety and efficiency challenges on new and existing operations. The new solution may also make it possible for marginal projects to pass feasibility hurdles due to cost and time savings.